Science discoveries are coming down the pike fast and furious, in an adverbial sense. It is wise to digress briefly from our cross-cultural ruminations to digest some of the more remarkable findings and developments of our time. I mean, think about it, around the world, the best universities are pushing thousands of top science brains deeper and deeper into the unknown to find well-hidden jewels of new knowledge, and governments around the globe are pushing hundreds of thousands of top science brains deeper and deeper into the realm of application of said new knowledge to advance or destroy mankind, and corporations are pushing their millions of top science brains into discovery and application of new knowledge to make a really big pile of new money before the rapture. I tell you, science is the engine of progress, the heartbeat of our existence, the very soul of mankind that distinguishes our kind of beast from the exploratorily disadvantaged lesser beasts. So what have we learned lately? Small flying rodents and fast swimming mammals are genetic brothers, both evolving a strikingly similar set of genes that permits echo-location in dark surroundings. That’s right, both bats and dolphins use radar, pinging signals as fast as electricity off of objects in the dark. And the genetic code of the two very different animals developed an almost identical genetic structure, in totally different environments. It would be like if the Chinese and the French both invented noodles at the same time. It’s downright remarkable. Dolphins and bats have nothing on humans. We have always considered that perhaps there is a sixth sense, one that allows us to know what is happening elsewhere, or before it happens, without having any direct engagement. ESP. extra-sensory perception. That’s our newly discovered sixth sense, right? Dutch scientists claim our sixth sense is “numerosity”. It is a legitimate ability to discern, like sight or taste or touch or sound or smell. It originates in the brain and is a processing power that organizes symbols faster than a bat can ping. It discerns magnitude (number of jelly beans in a jar) and shapes (this building is tall, that one short, but both have four sides). It gives us order in a world that would otherwise be chaotic. It is rumored that some politicians and rebels lack a fully developed numerosity function, and contribute mightily to our chaotic existence. An obsessed scientist at Texas A&M University, William Sager, took 20 years in the exploration to confirm that the largest volcano on earth resides underwater about 1,000 miles east of Japan. The name of this monster is Tamu Massif, and is roughly the size of the state of New Mexico in the U.S. Not being scientifically inclined, I did not dig up the numbers, but I’d say that is roughly a little larger than the whole of Luzon. Professor Sager was able to determine that the source of the lava flowed from one hole in the ground and spread out wide and thin across the ocean floor. The volcano is about 145 million years old, which even beats Enrile. I find this interesting because my own island of Biliran is peculiar in the same way. It has six large mountains, but they are all outbursts from the same single volcanic source. The entire island is one volcano. And it is classified as ACTIVE. That’s akin to building a new home and finding out after the fact that the next-door neighbor is a recovering ax murderer. Boy howdy, American capitalistic greed-mongers know no limits. Neither space nor distance nor the lack of gravity can keep them from their remunerative mission. A company named Moon Express was established as a private venture in 2010 by Dr. Bob Richards, Naveen Jain, and Dr. Barney Pell. The objective? 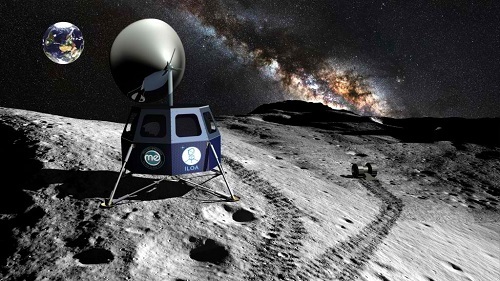 Establish commercial mining activities on the moon. Rocket engine testing is underway. Robotic explorers and diggers are being developed. This is no pie in the sky dream (heh heh). They are after what they figure are trillions of dollars of precious minerals for the digging right there on the surface. It isn’t like the earth, where miners have to chop through useless rock to get to the valuable ores. The moon minerals sit right on top where a lot of asteroids plopped down. There are other advantages as well There are no people to offend with the noise and digging, and no government instability to threaten the return on investment. I don’t know to whom they pay taxes. The first mission is expected to cost $50 million, and they expect it to turn a profit from the ores brought back. As I reflect on this, it seems there are three main inspirations for science: discovery, greed, and war. Now cast NASA’s current mission to the moon against the hard, crass cash of Moon Ex, and you can grasp the definition of “geek”. A geek is a scientifically endowed hyper-brain who, because of his genius, is somewhat of an social space cadet (heh,heh). He is not always considered practical by us normal dim bulbs. And the American Geek Agency, my friends, is NASA, the National Aeronautics and Space Administration. NASA is crawling with geeks. The goal of the current project? Study the dust on the moon. Bwahahahahaha! Dust! Yep. You read that right. Seriously folks, that’s what they are up to. Why? The Apollo 17 space mission crew saw a strange glow on the lunar horizon just before sunrise. That’s bizarre because there is no air on the moon and so sunlight can’t be reflected. I wonder what the return on taxpayer investment for this mission will be. And thank God for private enterprise. Have you ever walked into a glass door that is cleaned so well that you thought it was open? You can’t even see it but, man, does your nose feel it. Now scientists have discovered glass so thin that you REALLY can’t see it. It is thinner than the human eye can notice, only two atoms thick. David A. Muller at Cornell University made the discovery and it is going into the Guinness Book of World Records in 2014. The amusing thing is that the discovery was quite by accident, a flaw in the ointment so to speak, as Muller’s team sought to make a think layer of carbon. Air got into the oven by accident and a thin layer of glass coated the carbon. The glass may be useful in transistors to improve performance of cellular phones and computers. I herein designate Richard Branson as “Rocket Man”. This guy has character. He sees money, not as a testament to achievement, but as a means for FURTHER achievement. 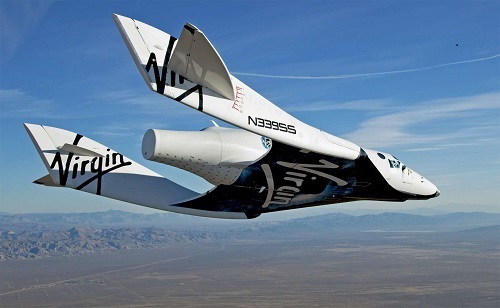 He makes his money commercially with a group of companies called Virgin Galactic enterprises. Virgin Atlantic Airlines is his flagship company, and he invests his profit from it to find and fund higher, faster, better ways to travel. Like by rocket plane. This is not pie in the sky, either. On September 5, his “Space Ship 2” (SS2) successfully conducted a second unmanned flight, achieving an altitude of 69,000 feet and top speed of 1,090 mph. This inched up from the first flight, both in height and speed. Rocket Man’s goal is to achieve cruising speed of 2,500 mph and provide five minutes of weightlessness at 364,000 feet above Earth. You, too, can take a ride for only $250,000. 625 people have purchased tickets so far, including Leonardo DiCaprio and Justin Beiber, who are at the front of the line. Rocket Man I suppose is an applied geek with well-developed capitalistic cranial capacity. It is science, is it not, to crack mathematical codes? To decipher the undecipherable? The Snowden papers show that American and British security agencies have cracked the strongest internet digital divides by applying the brute force calculating power of super-computers to the task. That is the science. The politics is that they have convinced the makers of security software to install backdoors in their software for exclusive use by security people. I suppose that is not unlike a cat door that flops open when Tabby needs to prowl. Boy howdy, that particular scientific achievement generated an American Civil Liberties Lawsuit against these National Security Agency for what the ACLU calls “unlawful spying” on citizens. The problem is that the investigative work undermines the premise that the internet was built on. Unrestrained, open communication. I myself have mixed feelings about it. I want the U.S. government to own the best cyber warfare techniques to counter what malignant states like Iran, North Korea and China might do. But I don’t like them going where they ought not. Into my private life UNLESS there is a cause. They currently view international e-mail as sufficient “cause” and I’ve gone on the record of supporting that. But I feel a darkness welling up in the pit of my stomach. I think it is called suspicion, as to motive and controls. The thought that America is becoming a malignant state riles me up some. 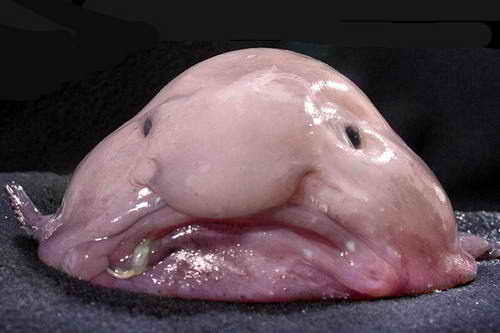 The votes are in, and the Ugly Animal Preservation Society has determined that the ugliest animal on the planet is the Blob Fish. Preservation is science, obviously, so ugly is evidently an esoteric branch of the greater discipline. I’d have a hard time contesting the choice, for sure. (Caution, don’t view the photo below before lunch.) But I’d much rather join the Beautiful Animal Preservation Society. Those uglies remind me too much of the ethical character of a particular list of Philippine politicians whom, for the sake of delicadeza, I shall refrain from naming. The space topic reminded me of a comment I read the other day. It was about Americans back in the day complaining about wasting money on launching a satellite into space. Now, the satellite industry is around $200 billion. The volcano you mentioned reminded me of Atlantis. It was wiped out by a super volcano explosion. Yes, I’d say the investments in space and war are providing a nice return. And your mentioning Atlantis makes me think it might be better to establish colonies on the ocean floor, rather than the moon, and mine there. Is there a big market for basalt? The volcano is made of basalt. Atlantis was not destroyed by a volcano. Atlantis waged a war which they won by creating focused energy beams through crystals. However, they overloaded the Great Crystal and this caused the tectonic plates to sink, destroying their mainland in the process. What remains of their continent can be seen from what is now known as Bimini. And ah, the geeks. They’re chasers, chasing in the name of knowledge regardless of impracticality. Moon dusts, now? Moon mines make me worry, it might affect us adversely in the long run. What happens to the tides? Well, the tech mumbo jumbo is beyond me, too, but I find fascinating the way we are pressing ever onward, farther, smaller, faster, more powerful, using less fuel. Moon dust is a little far out for me, but maybe they will discover they can mine the place with vacuum cleaners. I also worry that China will claim the moon by some historic claim from back when the ancestors of the Huns were baying at it. I agree. Richard Branson is about the coolest guy on the planet. The Moon mining sounds interesting, and giant underwater volcano is kind scary. I think the next World War will be in space; fighting for the minerals and resources that will be found in outer space. Star Wars is it hahaha (Corny). Russia and China will form the Darth Sith or whatever those geeks call the baddies. And yes, how’s the planned, one-way expedition to Mars? Could underwater volcanoes strongly erupt like Pinatubo? According to wiki, its base extends to a depth of about 6.4 km (4.0 mi). Massif is a shield volcano which has slow lava flow in short period of time though. You know, I think you are right about space wars. I had a friend who used to work for TRW back in the early 1970’s. They were working on lasers and I’d ask him what for. He’d say “I can’t tell you” and get a rather wicked grin on his face. Think of the capabilities that are forthcoming, or maybe are already here. Lasers will make missiles seem like old clunking machines. That’s why I don’t complain too much about U.S. NSA efforts working their way around foreign nation computer systems. Maybe they can cause Chinese lasers to melt in place. It’s rather frightening, which is why I think the bottom of the ocean may be the best place to live. I think underwater volcanoes do erupt regularly, they just don’t make the news because they don’t trouble anybody. What I wonder about is California, U.S.A. I’ve sat in warm springs near Mammoth (north), and near San Bernardino (south). They are so hot that you can get a severe burn if you sit on the hot rocks. I can imagine a good earthquake jarring open a hole in the ground and whoosh. Beachfront property. First, patriot missiles. Now, lasers for missiles. Next they will create anti-lasers. Then anti-anti-lasers.. I think the anti-laser is a mirror. The anti-anti-laser is a sling shot. And then to the caves we shall return, radioactive all. Pardon my ignorance, what’s TRW? I’m not that confident in the prospect of laser guns and light sabers in the near future. But if that happens, why not wear an armor made of mirror to reflect/deflect the laser? Silly me, of course that would break easily if the enemy were to use a hammer or another blunt instrument HAHAHA! Yes, I think the “cyberpunk” future is scary. To stray off topic, there’s the singularity thing that they say will happen; you know when Artificial Intelligence will be far greater than human intelligence, and man will be “one” with the high-AI supercomputers. Ultimately, the supercomputers will run the world and solve problems–cybernetic dehumanization. I have seen many dystopian movies and animation to convince myself otherwise. Luckily.I’ll be dead by that time. TRW was a government contractor making, I think, satellites and other gear. I think the US has used lasers to shoot down missiles in a test flight, or satellites, I’m not sure which. Your future world is a bit creepy, but given how small computers are and how much power they pack, it is not beyond reason. When you consider it, drones are rather like that, shifting the murdering from people to machines. We are probably at the crude stage of automation. In 100 years, there will be a lot more. Maybe they will manufacture green peas instead of grow them. Im currently reading Steve Job’s biography. He was fond of saying that Apple stood at the intersection of science/engineering and the humanities. It’s a great accomplishment of Western civilization – rational, scientific thinking and understanding the universe and using it to your benefit. But it needs Eastern philosophy as well, to round it out. Intuition, appreciation of arts, the invisible, the non-material are important so as not to fall into serious problems like global warming, loss of meaning, greed and lust, etc. Superb point, Andrew. I think Cal Tech and other Geek U’s should make poetry reading and writing mandatory. It is also a little quirky to think that too much science could produce a LOSS of meaning, but I agree that is possible. Fascinating point . . . I also finished reading “109 East Palace”, a recount of the atom bomb project in Los Alamos during WW2. America and Europe’s best and brightest minds in science used their talent to build the first atomic bomb that was dropped in Japan. Oppenheimer, the leader was remorseful after their success, while some like Edward Teller (the prototype for Dr. Strangelove) was gung-ho in building more and more powerful bombs. Science without conscience is destructive! And NSA seems to have a pea-sized conscience. I remember my Philo instructor..he implied that “too much science” can be destructive…especially in the post-modern era (post WW2). Science is rather tearing. At one hand, it resurrected critical/skeptical thinking pioneered by the ancient Greeks; on the other hand, some of the discoveries have rather long term negative effects. Carl Sagan, a prominent scientist, is even against colonization of anything extra-terrestial. Come to think of it, what would we humans do once fossil fuels and rare earth minerals, as well as copper, silver, and earth minerals and metals ran out because of its extensive use in technology? Well, your last question is answered by the moon mining project. Rare elements have become so expensive that it is cost-beneficial to go get them on the moon. Next, Mars. I have less trouble with commercial projects than military, but I have a feeling that the military installations will be there soon. On the moon. Peering down, 24/7. Hacking and jamming. Whatta world! p.s., I’m thinking about adding America to my list of malignant states. I’ll write from the perspective of an ordinary person in Brazil. Do you think NSA has tapped President Aquino’s phone? NSA tracks everything, even all bank transactions. Think you are safe using https? They can break that in seconds. PGP? A few minutes. Everything you search for in Google, youtube and yahoo is archived. Even if you switch ip addresses, there is a “profile” of you already. You don’t have to login with a google account for them to ID you. This is called behavioral analytics or pattern recognition. If you are using Windows, they have a backdoor. Any hardware of an American Corporation (Apple, Dell, Motorolla, etc), the NSA has a backdoor. You might say: So what? I’ve got nothing to hide. Yeah sure. That’s what the British told the American colonists: If you have nothing to hide, you don’t mind if we search your house without warrant any time we bloody want right? Think about it Joe. Snowden is a good guy. I’ll be writing to this point, Jake. The title of my current writing is “Is America a Malignant State?” You have your mind made up already. You’ll have to read that blog to determine what JoeAm concluded when, as you suggested, he “think about it”. I may slip it into the Wednesday slot next week. Thanks for the link.